1832 First attempt, a failure, to open Shanghai to foreign trade, made by Mr. Hugh Hamilton Lindsay, sent from Macao on a commercial mission by the East India Company. The Chinese authorities ruled foreign trade must still be restricted to Canton. August 29: Treaty of Nanking signed, terminating "Opium War" between Great Britain and China, which had inception over trade disputes at Canton. Article Two reads: "His Majesty the Emperor of China agrees that British Subjects, with their families and establishments, shall be allowed to reside, for the purpose of carrying on their Mercantile pursuits, without molestation or restraint at the Cities and Towns of Canton, Amoy, Foochow-fu, Ningpo, and Shanghai, and Her Majesty the Queen of Great Britain, etc., will appoint Superintendents or Consular Officers, to reside at each of the above-named Cities or Towns to be the medium of communication between the Chinese Authorities and the said Merchants, and to see that the just Duties and other Dues of the Chinese Government as hereafter provided for, are duly discharged by Her Britannic Majesty's Subjects." November 17: Shanghai opened to foreign trade as a Treaty Port, following ratification of the Treaty of Nanking. States shall be arrested and punished by the Chinese authorities according to the laws of China, and citizens of the United States who may commit any crime in China shall be subject to be tried and punished only by the Consul or other public functionary of the United States thereto authorized according to the laws of the United States; and in order to secure the prevention of all controversy and disaffection, justice shall be equitably and impartially administered on both sides." Extension of extraterritoriality to civil cases was embraced in Article XXV of the same treaty, reading: "All questions in regard to rights, whether of property or person, arising between citizens of the United States in China, shall be subject to the jurisdiction of, and regulated by the authorities of their own Government, and all controversies occurring in China between citizens of the United States and subjects of any other Government shall be regulated by the treaties existing between the United States and such Governments, respectively, without interference on the part of China." and the United States. November 29: First Land Regulations promulgated, containing partial definition of original area of Foreign Settlement. September 20. First delimitation of Foreign Settlement boundaries, enclosing area of approximately 138 acres. 1848, November 27: Foreign Settlement extended to Defense Creek, increasing area to 470 acres. 1848: American Episcopal Church Mission, under Bishop William J. Boone, first Anglican Bishop in China, establishes headquarters North of Soochow Creek, in Hongkew village, the beginning of the American Settlement. 1849,April 6: French Concession boundaries defined; area 164 acres. 1851: By proclamation of Chinese authorities merchants of all nations are permitted to build in Foreign Settlement, a privilege theretofore regarded by British as exclusive for their nationals. 1851: Beginning of Taiping Rebellion plotted in Canton. 1853, April 12: Birthday of Shanghai Volunteer Corps: Consuls of original Treaty Powers, Great Britain, United States, and France, met with foreign residents, decision reached to organize Volunteer Corps for protection of Settlement. September 7: Rebels, "Small Swords," but not recognized by Taipings, captured the Chinese City (old walled city) of Shanghai. February: United States Consul established Consulate in Hongkew, near Episcopal Mission, raising American flag and advancing general recognition of Settlement. 1854, April 4: Battle of Muddy Flat (on site of present Race Course), in which British and American naval forces, with Shanghai Volunteers, and suddenly and unexpectedly reinforced by "Small Swords" rebels from beleaguered Chinese City, attacked camp of Imperial troops near the then western boundary of the Settlement, to enforce demand of British Consul that troops be removed to safe distance from Settlement. Imperialists gave way. First baptism of fire for Shanghai Volunteers. 1854, July 11: Public meeting of foreign residents adopted new Land Regulations, authorized and chose first elective Municipal Council, which held first meeting. 1854, July 12: Custom House, disorganized by Taiping-Imperial warfare, re-opened under foreign supervision of representatives of Great Britain, United States, and France, acting with concurrence of Chinese authorities; birthday of present Chinese Maritime Customs. angered by current, apparently true, reports that British and Americans were trading with rebels. 1955, February 24: Proclamation of Taotai (chief Chinese official), stated conditions subject to which Chinese would be permitted to reside in Foreign Settlement. 1860, June: Taipings capture Soochow. August 17: First Taiping attack on Chinese City and Foreign Settlement. October 29: French Concession extended by 23 acres. January: Second Taiping attack on Settlement, from direction of Woosung, reached point one and a half miles from British Consulate. 1862, May 1: Separate Municipal Council established for administration of French Concession. 1862, August: Third Taiping attack on Settlement reached Bubbling Well. September 21: Frederick Townsend Ward, American organizer and commander of "Ever Victorious Army," fighting Taipings, killed in action near Ningpo. June 25: U.S. Consul George F. Seward and Chinese authorities delimit boundaries of American Settlement, area 1,309 acres. 1863, September 21: Agreement made to amalgamate Foreign (British) and American settlements. 1863, December: Actual fusion of settlements consummated. December 4: "Ever Victorious Army," under "Chinese" Gordon, Ward's British successor, wrests Soochow from Taipings. May 1: Establishment of Mixed Court in Settlement. 1864, July: Nanking retaken by Imperialists and Taiping Rebellion crushed. 1865: Establishment of H.B.M. 's Supreme Court for China. 1866: Formation of Volunteer Fire Brigade in the Settlement. 1870: Control of Shanghai Volunteer Force handed over to Municipal Council. 1874: Serious riots in French Concession over decision to construct road through Ningpo Guild cemetery. Volunteer Corps called out. 1880, August 31: Agreement for provision of water supply for Settlement signed. 1889: Erection of first modern cotton mill in Shanghai. 1890: Council took over existing Eurasian School (Thomas Hanbury School) and converted it into first Municipal School for Foreigners. 1893: Purchase of Electric Light Company by Municipal Council 1894-5: War between China and Japan. 1894, January 25: Japan agreed to regard Shanghai as outside the zone of warfare. 1896: Treaty of Shimonoseki between China and Japan. 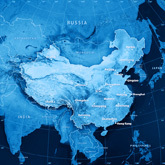 July 21: Supplementary Treaty of Commerce between China and Japan signed at Peking, giving Japanese right to carry on trade, industries and manufactures at all Treaty Ports. April 5: Wheelbarrow riots in Shanghai as result of Council's decision to increase wheelbarrow licenses. Volunteers called out. 1897, May 10: First foreign (British) cotton mill opened in Shanghai. 1898: Railway, Shanghai to Woosung, opened. 1898: Municipal Public Health Department organized by Dr. Stanley. delimited, in Yangtszepoo district and to the West, totaling 3,804 acres. January 27: Area of 171 acres added to French Concession. 1900, March 13: Ratepayers' Meeting sanctioned first grant for Chinese education in Settlement, group of Chinese residents contributing funds for building. 1900, June 20,: Boxer outbreak. Anti-foreignism had been growing for months but on this date edicts were issued at Peking for the extermination of all foreigners. Agreement was reached between foreign Consuls and Viceroys of Central Provinces under which Viceroys promised to prevent spread of Boxer rebellion in their provinces provided foreign military operations were confined to North. As precautionary measure defense of International Settlement was in hands of Shanghai Volunteers pending arrival of foreign troops. 1900, August 17: Foreign troops garrison Settlement. 1902: Foreign garrison withdrawn. December 8: Mixed Court riots resulting from agitation over jurisdiction and care of prisoners. Volunteers called out. June 30: United States Court for China established by Act of Congress. 1907: Chinese Company added to Shanghai Volunteer Corps. 1908: Shanghai-Nanking railway completed. November 10: Plague riots in Shanghai, resulting from opposition to enforcement of Public Health by-laws for prevention of plague. Volunteers called out. October 9: Outbreak of Republican Revolution, led by Dr. Sun Yat-sen.
1911, November 3: Chinese City falls into possession of Revolutionists. Volunteers mobilized for possible defense of Settlement. 1911, November 4: Chinese in Shanghai area accept new republican regime by acclamation. November 11: Mixed Court taken over by Consular Body. January 1: Establishment of Republic of China. Body issued declaration of neutrality of Settlement, Chapei and Soochow Creek. Volunteers mobilized. Naval forces landed by British, German, Austrian and Italian warships. April 8: Chinese-French Convention for extension of Concession boundaries and appointment of two Chinese to advise French Municipal Council. 1914, July 20: Extension proclamation adds 2,167 acres to French Concession, constituting more than 80 percent, of its present area. August 14: China declared war on Germany and Austria- Hungary. July 16-19: Riots in Hongkew owing to friction between Japanese and Chinese. Volunteers called out. May 1: Shanghai Fire Brigade, hitherto volunteer organization, re-organized on professional basis. mobilized to protect property of public utility companies and aid police to preserve order. April 7: Appointment of Chinese Advisory Committee for Shanghai Municipal Council approved by Ratepayers' meeting. 1920, October 14: Formation of Chinese Ratepayers' Association. 1924, August-to end of 1925: Kiangsu-Chekiang provincial war. Emergency and mobilized Volunteer Corps; naval forces landed from British, American, Japanese and Italian warships, forming defense cordon around International Settlement and French Concession. January: Volunteers mobilized to aid in disarming and interning 10,000 Chinese soldiers, fugitives, who surrendered either to Concession or Settlement authorities. July: Nationalists, organizing in Canton, launch military expedition to North, sweeping through Central China to Hankow. British return concessions at Hankow and Kiukiang to Chinese. 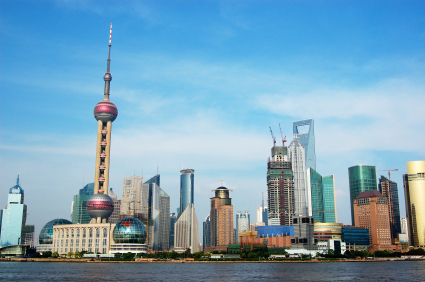 Shanghai apprehensive of Nationalist advance. January 1: Rendition of Mixed Court and establishment of Provisional Court. 1927, February: Nationalists begin advance down Yangtsze Valley toward Shanghai. 1927, Jan.-Feb.-March: British, American, French, Spanish, Italian, and Japanese troops landed in Shanghai for defense of Settlement and Concession. 1927, March 21: Municipal Council declared State of Emergency. Volunteers called out. Nationalists occupied Chinese City. Fighting near Settlement during March resulted in defeat of Northern (anti-Nationalist) Forces, of whom 3,000 were interned in Settlement. July 7: City Government of Greater Shanghai established and Mayor appointed, placing Chinese territory surrounding Settlement and Concession under municipal form of government. April 20: Three Chinese Councilors first took their seats in Municipal Council. June 1: Public parks opened to Chinese on same terms as foreigners. 1930-April 17: Ratepayers adopt resolution authorizing sale of Municipal Electricity Department; Shanghai Power Co. assumes operation. 1930-April 1: Rendition of Shanghai Provisional Court and establishment in Settlement of District Court and Branch High Court. 1930-May 2: Number of Chinese members on Municipal Council increased from three to five. 1930- September: Japanese launch military operations in Manchuria following dynamiting of railway line, beginning movement which eventuated in alienation of three northeastern provinces from Chinese and establishment of Manchukuo, with Henry Pu-yi, deposed Emperor of China (1911), as Emperor. 1930-January 28: Following anti-Japanese boycott activities and Sino-Japanese racial disorders in Hongkew district, and failure of Chinese military forces to heed their notification to withdraw from neighbourhood of Settlement boundaries, Japanese naval forces made direct attack against Chinese (19th Route Army) in the Chapei district. Great Britain and United States lodged protests with Japan. Furious fighting in Chapei. Volunteers mobilized and curfew law enforced in Settlement and Concession, requiring residents to be off streets from 10 p.m. until 4 a.m. Great Britain and, United States heavily reinforced garrisons and warships of powers stood by in Whangpoo. 1932, March 2: Nineteenth Route Army withdrew from Chapei in good order in quickly executed maneuver. Japanese advance to protect lines. Negotiations instituted. 1932, May 5: Sino-Japanese Armistice signed, terminating "undeclared war." 1932, May 31: Japan withdrew major share of military forces of occupation. Property loss in Chapei placed at $350,000,000.